The New Hampshire Senate killed a bill Thursday aimed at establishing a study commission to consider a statewide ban on the sale of Russian vodka in response to the country's involvement in last year's presidential election. Senate Minority leader Jeff Woodburn, a Democrat, proposed the bill in January, saying that he felt it was an appropriate way to respond to Russia's alleged interference in the election. Some Republicans called the proposal "crazy," saying Democrats were just being sore losers. Despite the bill's defeat, Woodburn said he remains convinced that New Hampshire should "seriously examine" its investments in Russian products and industry. "It has only become clearer in the months since I first introduced this legislation that the Russian government exerted an unprecedented level of influence in the outcome of November's presidential election," he said. "This is not a matter of party politics: foreign influence in our democratic process is a grave threat to our security, our electoral process and the sanctity of our constitution." 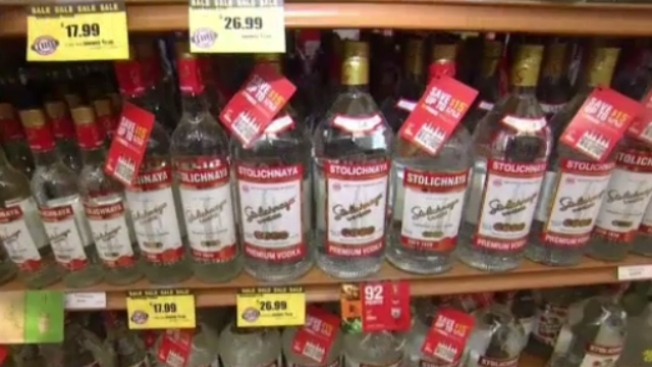 The New Hampshire Liquor Commission sold $6.4 million worth of Russian liquor last year.